After an early breakfast at Pinda Lodge, we bid goodbye to the beautiful Margaret Region and started our trip back to Perth. 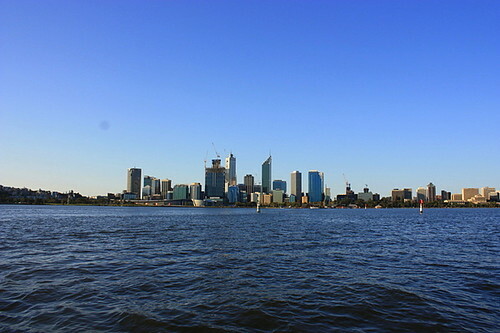 We dropped our rental car at RedSpot’s office and went for a walkabouts around Perth CBD. Within the Perth city centre travel on public transport is FREE! 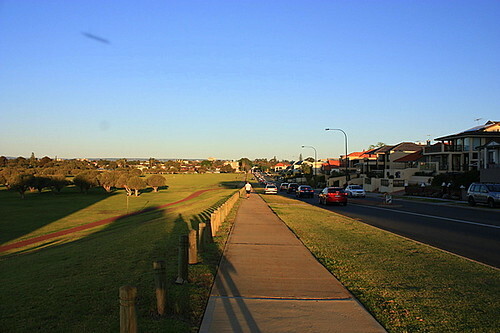 The boundaries of this free travel zone are defined at the Transperth web site. To travel within this zone you can simply hop on any train, bus or CAT. You are not restricted to the amount of times you can use this service and no tickets are required. If you board a train or bus inside the FTZ and intend to travel outside of the FTZ a valid ticket must be purchased and fares apply from where you first board to your destination. If you’re not sure where the FTZ starts or ends ask the bus driver. Transperth buses can take you to all the attractions you will want to see. Coins are preferable to use on bus services and change can be given. Perth and Fremantle are serviced by FREE CAT buses. 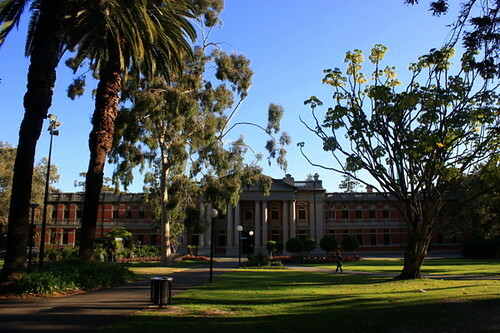 In Perth city, passenger can board the RED, BLUE or YELLOW CAT buses, while in Fremantle the route is serviced by ORANGE CAT buses. The CAT services circulate specific routes every five to fifteen minutes during the day. Weekday timetables are more frequent than weekends. 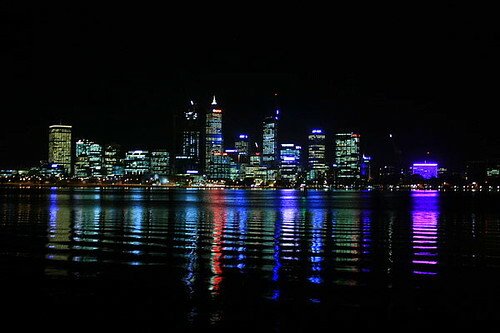 You will find a great network of trains which service the Perth metropolitan area from the Perth city. Tickets are available at each station and must be purchased before riding the train. A variety of tickets are available (i.e. Adult, Concession, Child, Senior, Family) and are valid to be used on all Transperth services including buses and ferries. The distance you plan to travel will also determine how many ‘zones’ you need to purchase with your ticket. Zone maps are found at all train stations to help identify what ticket you will need to purchase. Ferry services cross sections of the Swan River from Perth Barrack Street Jetty across to South Perth and down stream to Fremantle. 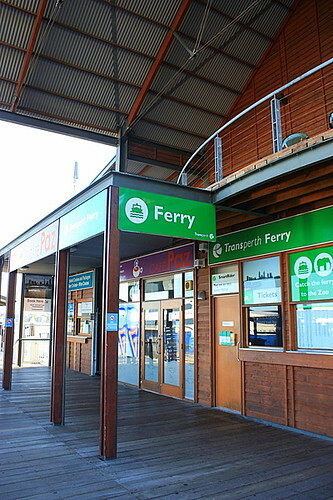 Regular high-speed ferries also travel from Perth Barrack Street Jetty, Fremantle and Hillarys to Rottnest Island. Route maps and timetables for all modes of transportation are available at Transperth website. 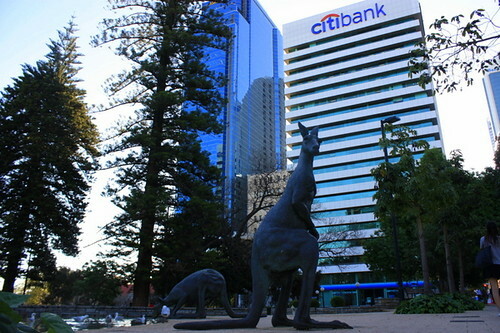 Larger-than-life kangaroo sculptures were spotted at the Supreme Court Gardens located on the corner of Barrack Street and Riverside Drive. A great place for the “picture perfect” photo opportunities. 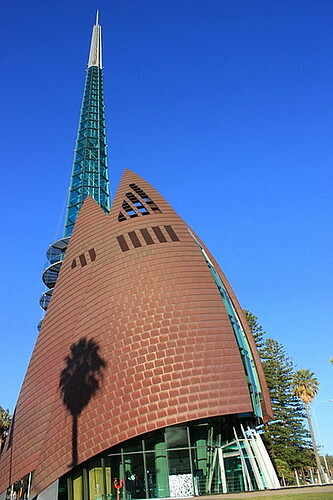 The Swan Bell Tower is also one of Perth’s main tourist attractions. 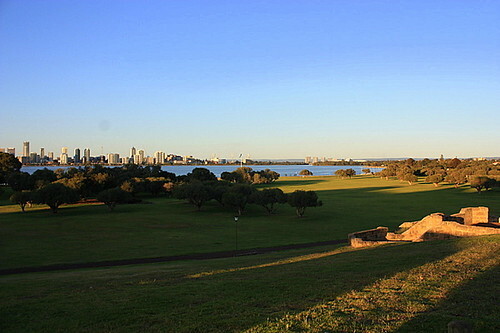 Situated on the Barrack St. Jetty, it is overlooking the Swan River and the entire city skyline. Background Story: The St Martin-in-the-Fields Bells were gifted to the people of Western Australia to commemorate Australia’s bicentenary in 1988. Patron of the Bell Tower Mr Laith Reynolds was the one who saved the St Martin-in-the-Fields Bells from being melted down to form new ones, as they had become too heavy for the ancient foundations of the church in Trafalgar Square, London. After this he campaigned to have a specially built tower in Perth to bring them to life for all West Australians. 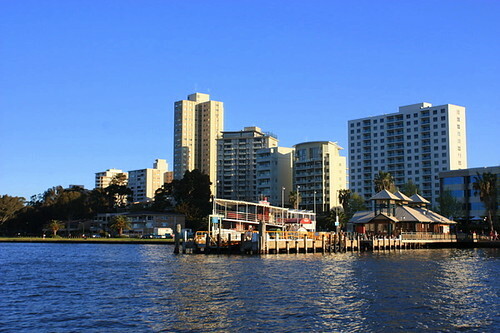 We walked towards Barrack Street Jetty from the Swan Bell Tower to board a ferry to South Perth. 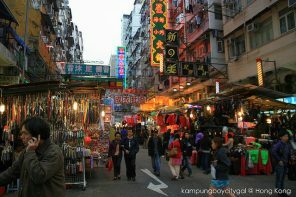 Here’s a money savings tip: Forget about paying > AUD 50 for a touristy cruise/tours. 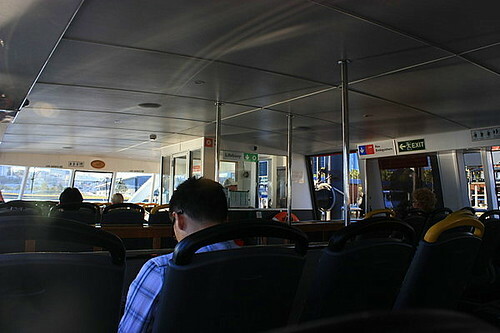 The ferry is a quick ride to cruise on the scenic Swan River, and a great way to travel to South Perth. We arrived to Mend St. Jetty, South Perth in a blink of an eye. We walked along Sir James Mitchell Park to our dinner venue. Never did we anticipated that the walk is about 30 minutes (!!) long. 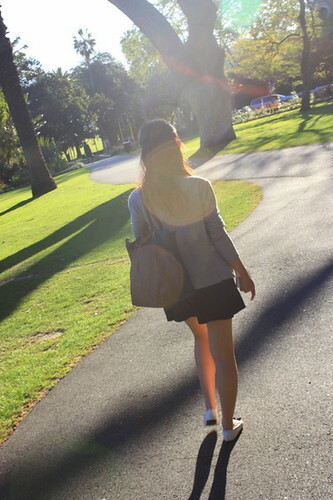 Fortunately for us, the sunny weather with cool breeze was so good to walk. We finally, reached our destination – Ciao Italia! 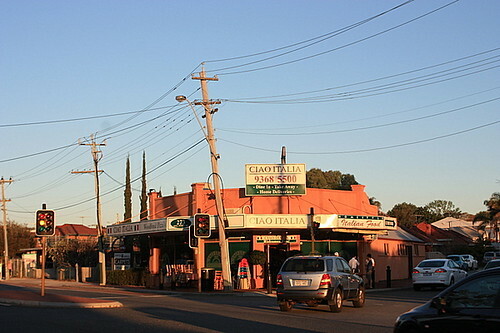 Ciao Italia was opened in August 1999 by a young Italian chef, Spartaco Rotella. It started off as a Take Away Restaurant and soon it gains popularity and the owner decided to put some extra tables inside and since then Ciao italia has grown. 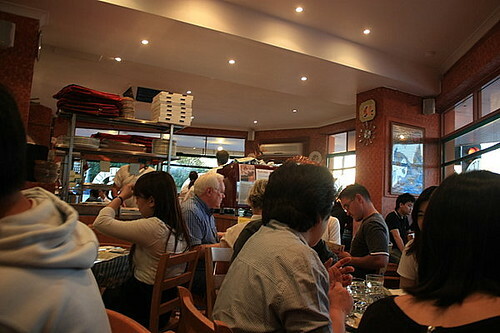 As one of the city’s top eating institution, Ciao Italia doesn’t take bookings, and it is packed out pretty much every night of the week. This explains why there was already a moderately long queue formed up outside the restaurant. I was (still) slightly surprised because it was only 530pm! And the restaurant opens its door at 5pm everyday. We put our name in the waiting list and began our 15 minutes wait. The place is absolutely bustling with activities. I can’t even hear the waitstaff’s mumbling! As you’d expect from a popular restaurant, it has a casual setting with slightly cramped seating arrangements. I have no complaints there as it added to the unique dining experience. 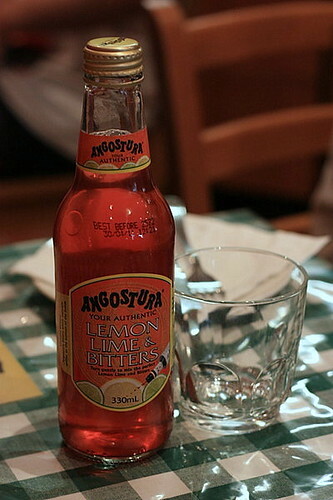 LEMON LIME BITTERS is a very Australian drink. 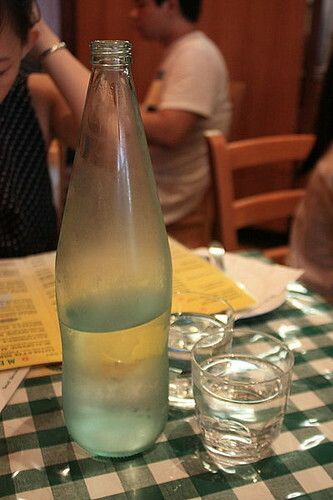 It is so very pleasant and refreshing drink and we had it almost everyday when we were in Perth. Ciao Italia is well known for its typical Italian food, including its 14 different types of Pizzas cooked in a wood fire oven. We stole the picture from a bunch of Malaysian students seated next to us. 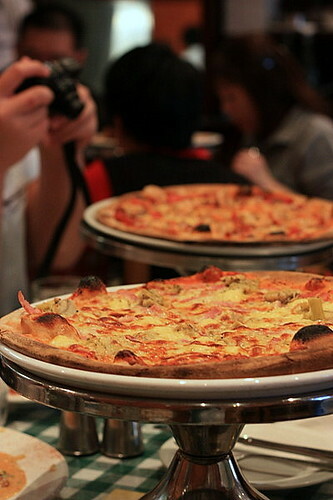 The pizzas were huge and I’m so glad that we did not go for it. fresh diced tomatoes, The Ciao Italia signature paste does live up to its fame. The home made fettuccine strips had a bouncy springy feel to it; and the creamy white sauce was really additive! 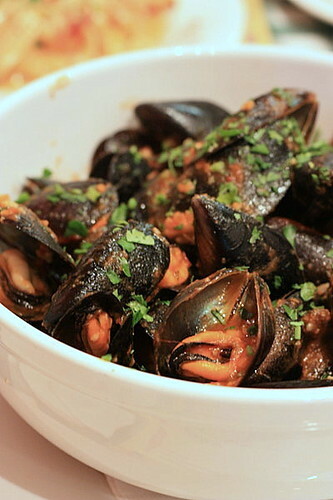 Cozze Pescatora (Chillli Mussels, AUD 27.50). The local mussels were fresh and briny, with a firm texture. The tomato sauce with chilli flakes was really good too. I was hoping for some bread to dip in that delicious sauce. 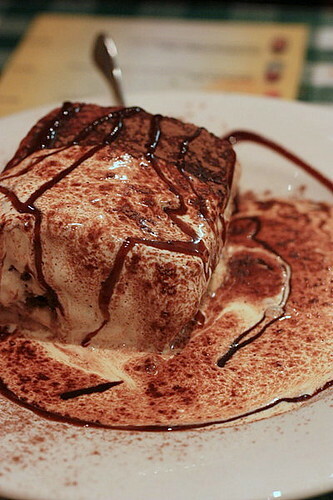 One can’t leave Ciao Italia without trying their legendary Tiramisu (AUD 8.50)! 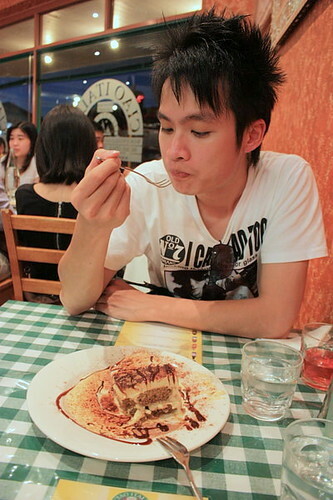 Again, the tiramisu was so huge that I would call it a Tiramisu Block! The tiramisu was divine! The cake layers were expertly soaked in the right amount of alcohol and espresso. Between the layer is this lofty layer of creamy, soft marscapone. The cocoa sprinkles on top has a bitter aftertaste. This has got to be one of the best tiramisus that I have had! 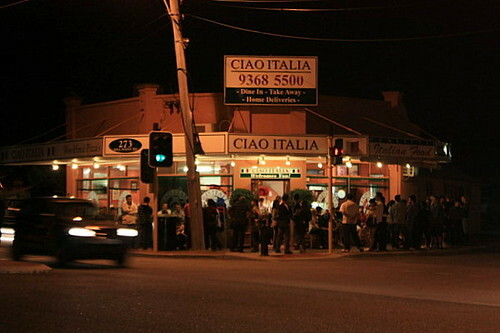 Ciao Italia is definitely one of the must visits in Perth especially for their tiramisu! Everything that we tried was so delicious and are of enormous portions! Service was prompt and friendly too. 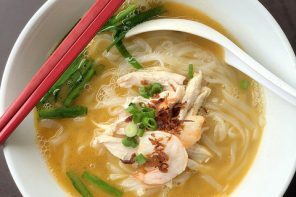 If you have impatient stomach, take away and enjoy your meal by the foreshore of Swan River. 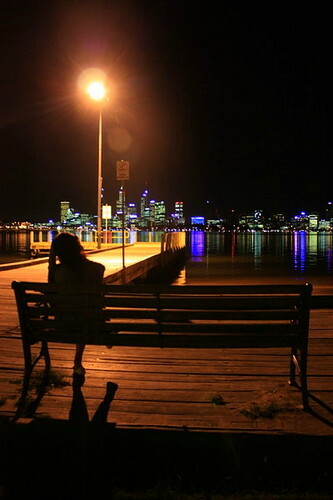 After such a heavy dinner loaded with liberal doses of cream and fats, we took a stroll along the Swan River and watched the countless stars emerge to fill the night. 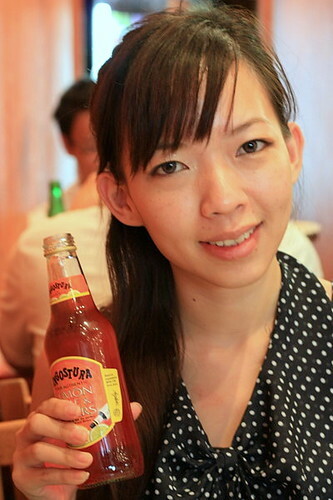 Previous articleThe Best Ramen in Singapore – Ippudo or Santouka? 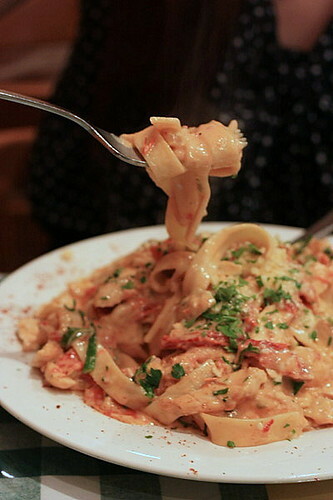 The pasta sure looks yummy at this hour. Will definitely give it a try when I’m there next time. This can be a mind-blowing post.Written nicely in addition to properly organized. 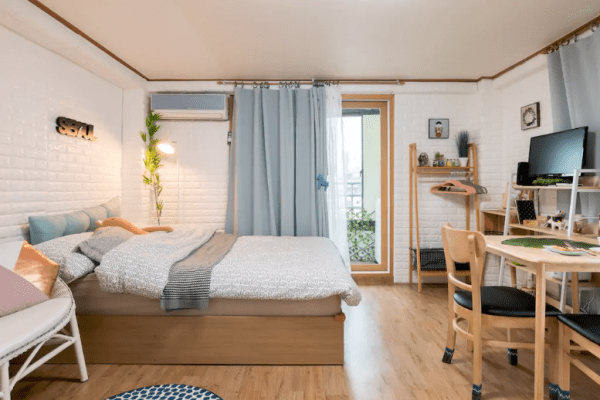 my friend is there so transportation & accommodation shouldn’t be a problem! 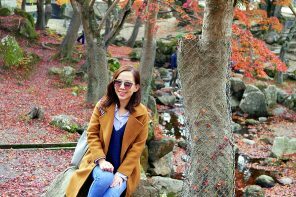 Looking forward for more on your trip.